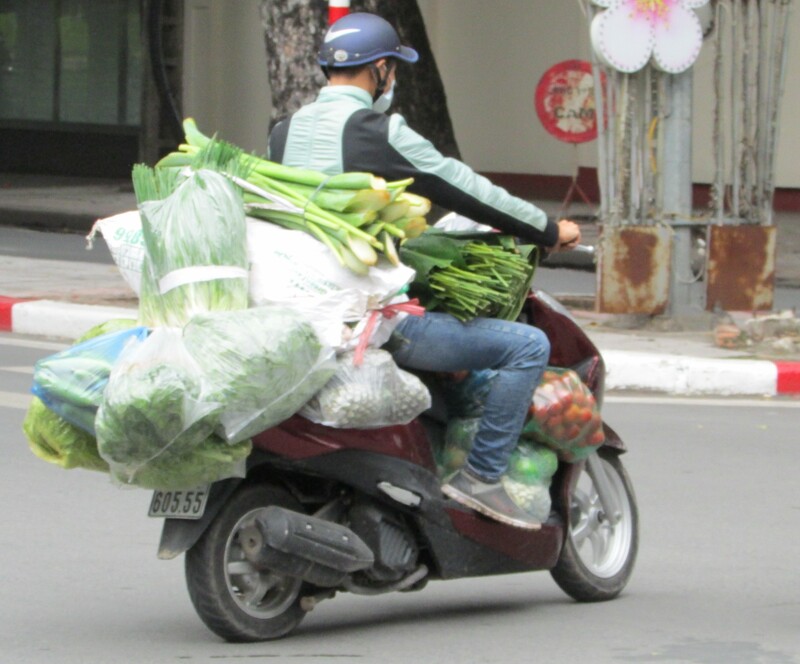 VIETNAM: BOTTOM GEAR SPECIAL! | "MASTERS"
Posted on November 19, 2015 by Mark and Sarah - MASTERS! MARK: Sarah in black leathers! Hanging on to the back of a Kawasaki 250cc, or screaming along the streets of Frome in the middle of the night, astride a throbbing Honda. Hard to believe? Yeah, I found it hard to get my head around the first time I heard as well. But that’s my racey wife for you, full of surprises. Fast forward to 2015 and beep beep, beep peep. Welcome to Hanoi the capital city of Vietnam. Scooters and motorbikes everywhere. Very few cars on the road because of punitive Communist Government taxes, just a chaotic sea of motorised two wheelers everywhere. On the road, on the pavement, in the parks, everywhere! 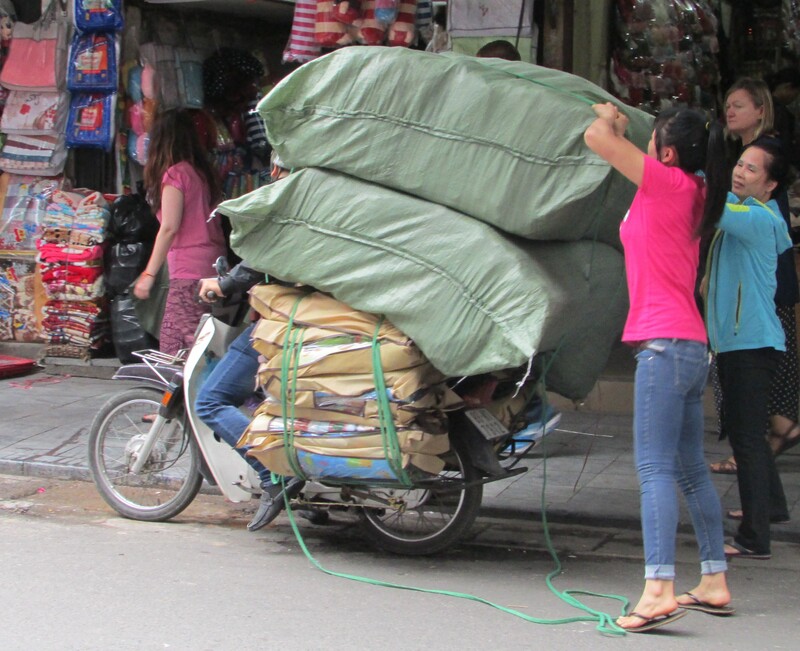 Hanoi is a rapidly growing city. Motorbikes the main form of transport. You take your life in your hands as you attempt, in small groups to cross pot-holed streets, always walking, never running. It’s great fun if you have the bottle. 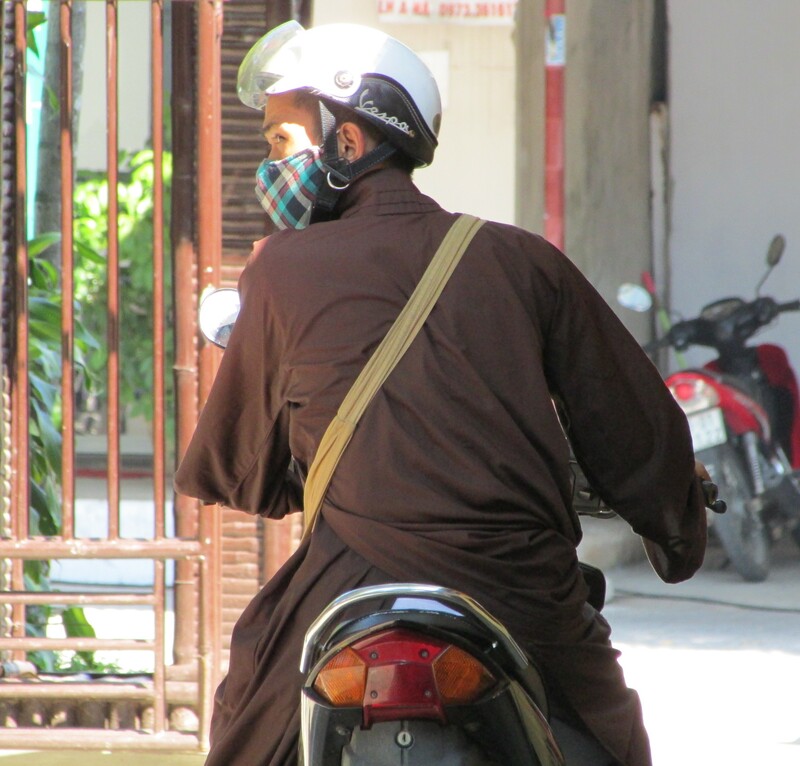 According to official statistics, in 1996 there were only 4 million motorbikes in Vietnam. 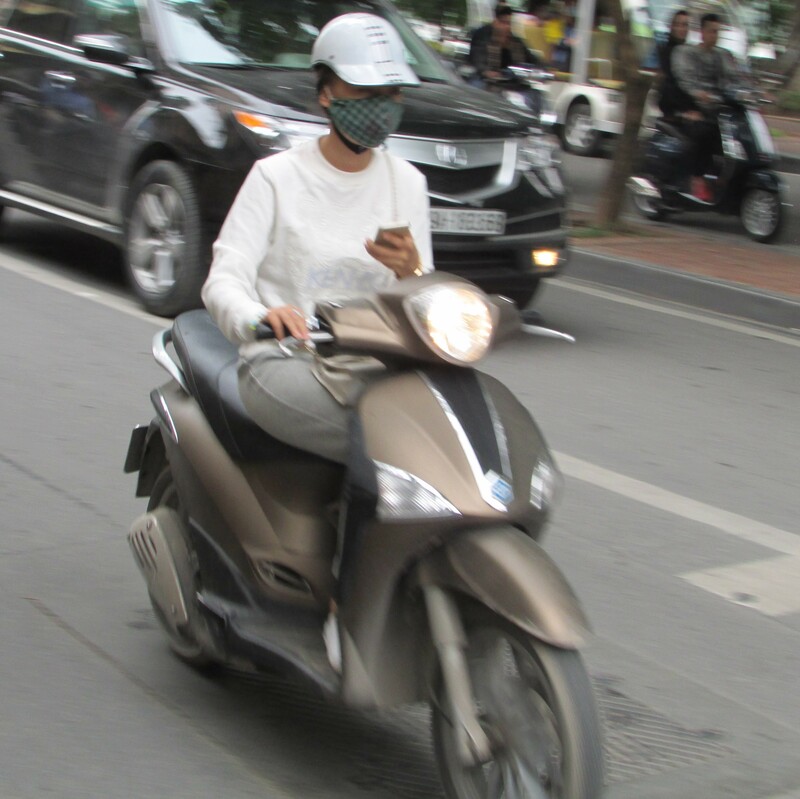 But now, driven by rapid economic growth, there are that number alone in the capital and 39 million nationwide, meaning that most adults between 18 and 65 owns a motorbike. 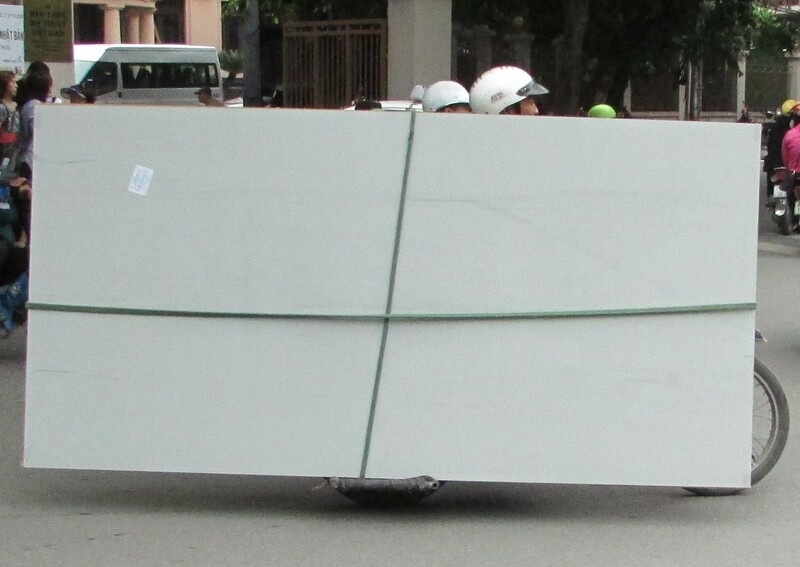 During our stay in Hanoi, we saw some amazing two wheels sights. 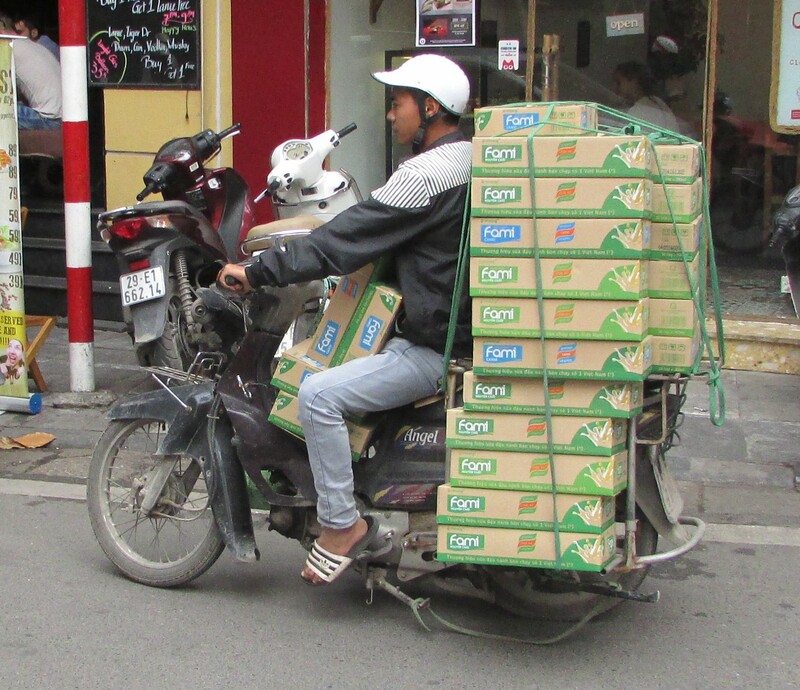 So, ladies and gentlemen I give you the Vietnamese Two Wheeler Awards 2015. Most people onboard – FOUR NOT THREE – can you see? 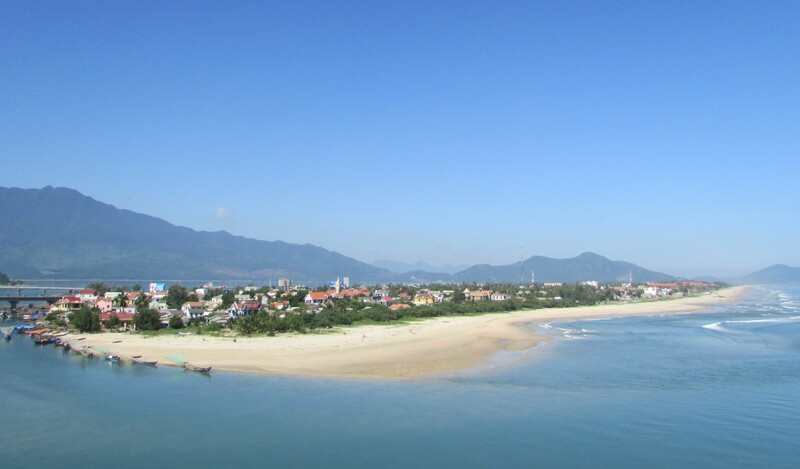 The 16th November saw us leave Hanoi after returning direct from Harlong Bay(100 miles east). We literally jumped straight on to the 13 hour overnight sleeper to Hue in central Vietnam. First class sleeper bunks and first class little furry friends who had decided to hitch a lift to go and see their relatives 450 miles further south. 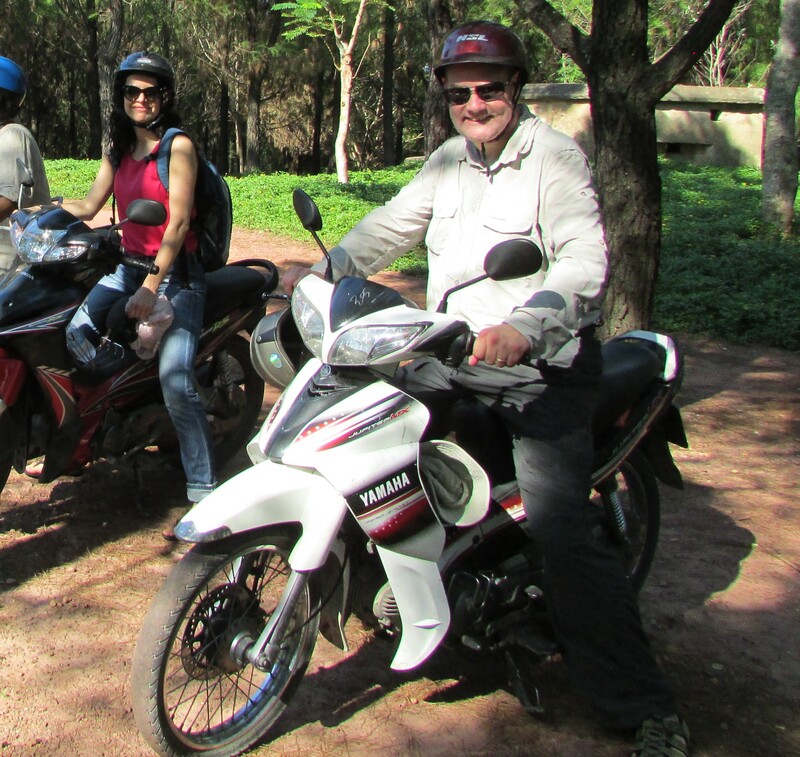 On arrival, Cham, our happy smiley “same same, but different” guide, suggested that the Group might like to take a “motor-bike trip” through the countryside, taking in Paddy Fields, a Buddhist Monastery for lunch, then on to Hue’s Citadel, Pergola and local market. Much to the surprise of everybody, including me, Sarah’s hand was the first to rise to confirm she was up for the day long excursion. My hand stayed in my pocket for a while. But with everybody else saying yes, including a 76 year old American called Elliott, I reluctantly agreed to go. Tang, the Team Leader could see I was nervous and suggested I rode on the back of his Honda Scooter – hardly a powerful machine, but quick enough for me. The brown crash helmet barely fitted my big head, looking like a round tin bowl on my weathered face, squeezing my cheeks so I looked like a Michelin Man. And then we were off, weaving through the streets of Hue at speeds of up to 25mph, fifteen scooters and bikes in a snake formation heading for the Paddy fields, the wind blowing through what little hair I have left. After a couple of hours of visiting the rice museum and various other sites, we arrived at a Monastery for lunch, with Monks all around us riding scooters as if they belonged to some strange religious “Hell’s” chapter. But boy could those boys cook. A great vegetarian lunch, concluding with delicious pieces of Dragon fruit. Tummies full, we headed off again, through the dusty streets, the sun high in the sky, the temperature well into the 90s. It was a lovely trip and then BANG. Historical reality struck once more. 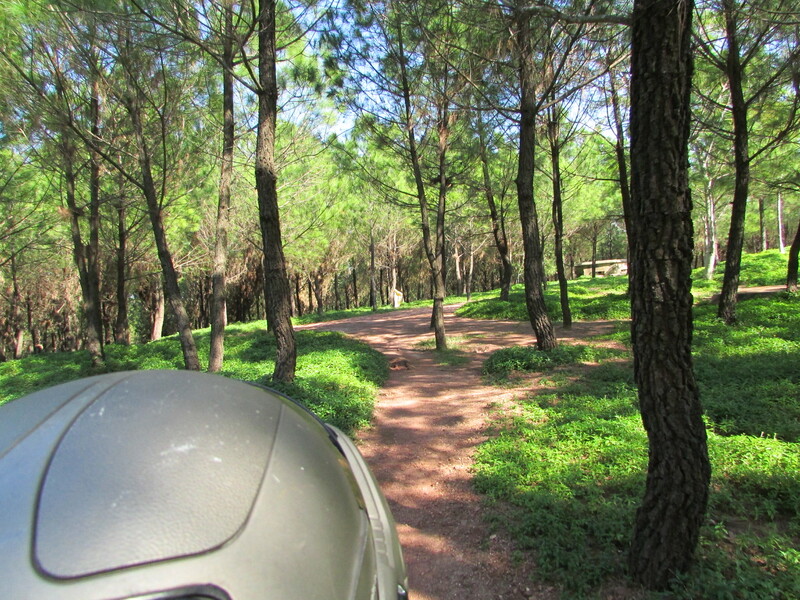 Tang, made a swift right turn and we were suddenly riding down small dirt tracks through a forest. We really needed trial bikes, not scooters. Tree roots everywhere, steep hills which the old Honda barely managed to get up. After a few minutes all became clear. 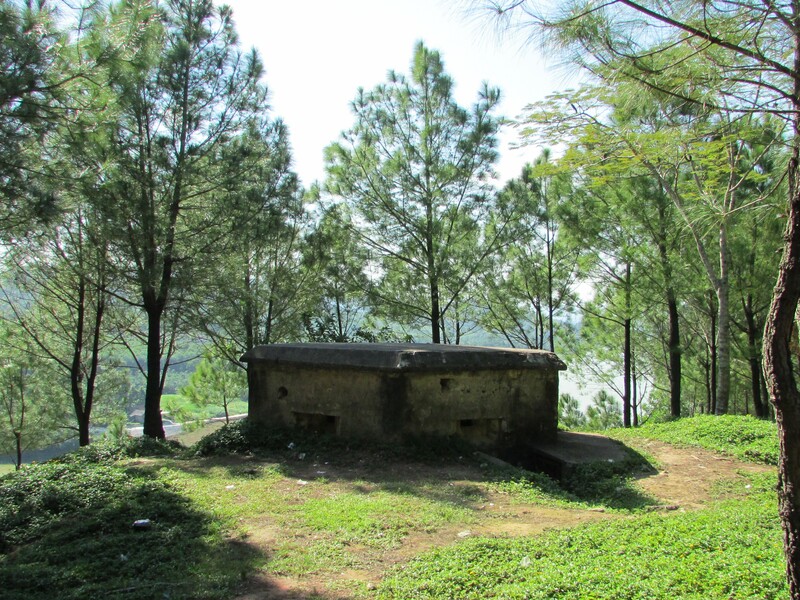 Two war bunkers which looked like large “Pill Boxes”, on the highest point, overlooking the sweet sounding, but anything but, Perfume River and the City of Hue. The history lesson unfolded in front of eyes and through Tang’s broken but understandable English. During the Vietnam War, Hue’s central location – near the border between the North and South – put it in a really vulnerable position. In the Tet Offensive, during the Battle of Hue, the city suffered considerable damage and terrible atrocities, due to a combination of the American bombing of historic buildings held by the North Vietnamese, and the subsequent massacre committed by the communist forces. It was one of the longest and bloodiest battles of the Vietnam War, beginning on January 31 1968, and lasting 26 days. During the following years, dozens of mass graves were discovered in and around Hue. Thousands of victims were found bound, tortured and clubbed to death. The scenery was beautiful and it was hard to believe what had happened as we all looked on. 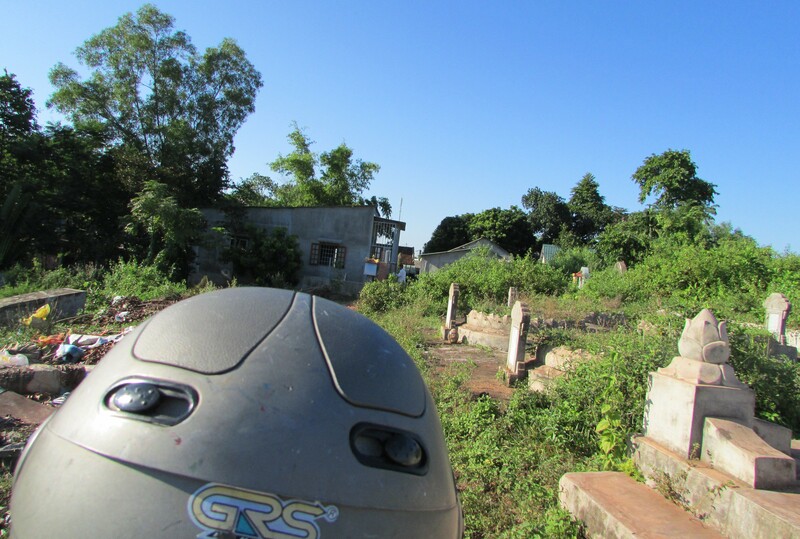 It was somewhat ironic, but entirely appropriate when we returned back to our hotel via a Graveyard, before re-joining the hurly-burly of modern day Hue. 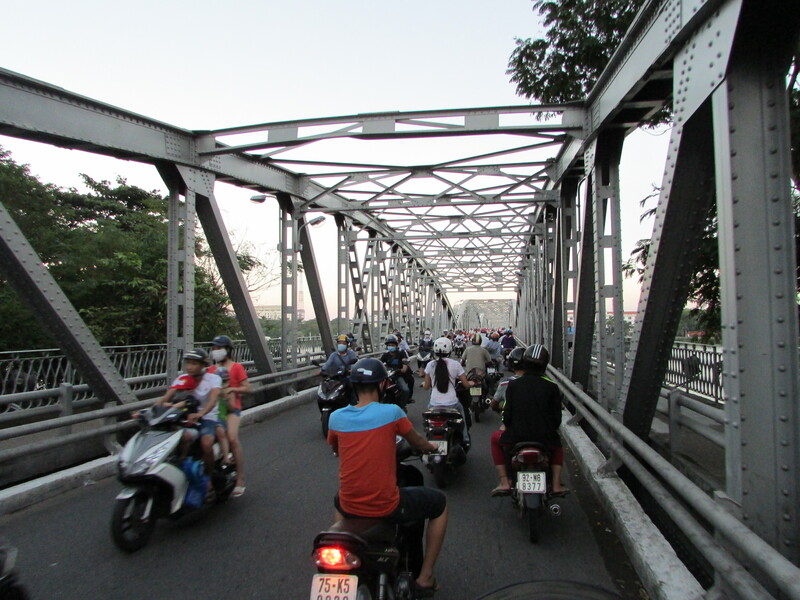 The traffic on the main bridge, a carpet of scooters as people travelled home at the end of a long day. 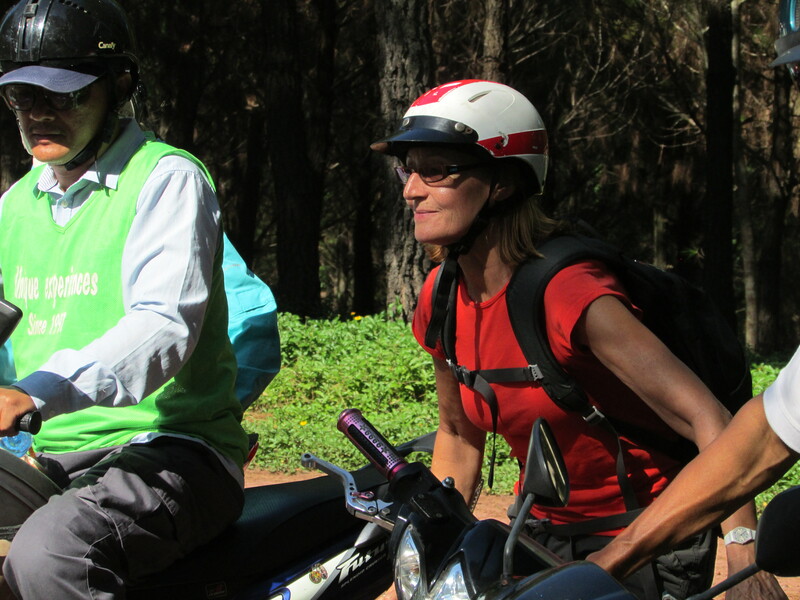 But I want to leave on a positive note and again a brief story about motorbikes. Yesterday (Wednesday) we arrived in the beautiful, laid back city of Hoi Ann – where the Top Gear Boys had their suits tailor-made during their trip through Vietnam. Sarah was helping Ann and Chris buy new business suits . So I decided to go and get my hair cut. I asked a man, using sign language if he knew a barber. He beckoned me on to the back of his bike and we sped off, through the market, chickens running for their lives. Five minutes later and we arrived at Mr Thang’s the Barber. He understood what I wanted, but then decided to give me a cut-throat razor wet shave, ear wax, nose/ear/eyebrow trim and head massage. It was called a head service and cost a mere £4.50. I gave him a tip of 50p and he seemed very happy, so much so, he went to his garage, got his bike out and drove me back to Sarah, over two miles away in the city centre. Brilliant service and proof, if proof were needed that bikers are wheely wheely nice people. 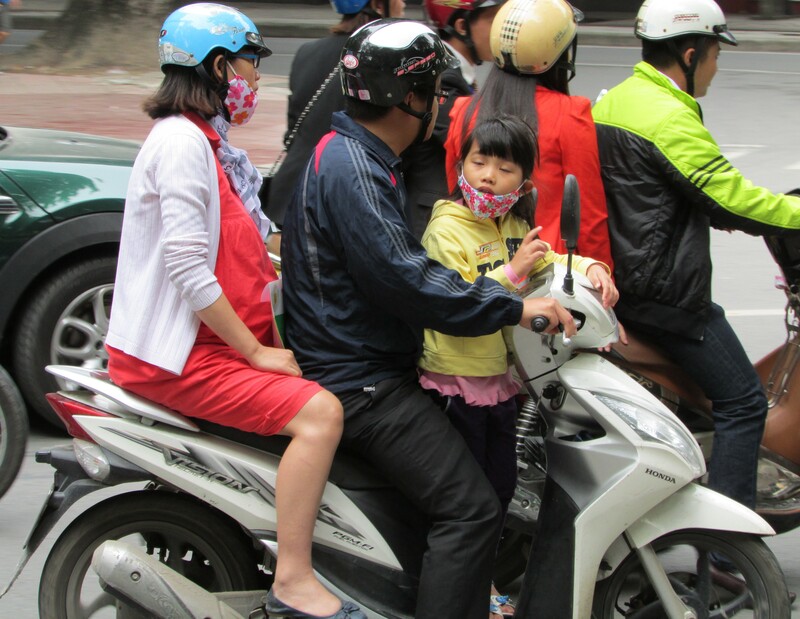 Ah….happy memories… ‘same same…but different’, a phrase oft heard in the markets of Hoi An, the motorbikes of Hanoi, the plastic stools all over the pavements and every rule in catering broken as the cafe owners washed the grotty crockery under a stand pipe in the street. Good times! Keep up with the ‘Masterspieces’…. loving it. PS its raining like a rainy thing on a rainy day here. Thanks Ally hope you are well. You didn’t mention going to the lovely Thieu Mu Pagoda on the banks of the Pearl River in Hue. from here the monk Thich Quang Due went to Saigon in 1963 (in an English-built car!!) to self immolate – the purpose being to highlight the persecution of buddhists by the totally rutthless and corrupt South Vietnam regime being propped up by the US. Interesting to reflect that in order to justify intervention in Vietnam the US invented the Tonkin incident – an American gun boat being fired on by the North Vietnamese (which never happened) -and the domino effect – the fear of progressive Asian states falling to communism if Vietnam was unified. Shades of Iraq? Hope you are enjoying Vietnam – although we went some time ago, probably the loveliest of all the countries we have visited. Wow, go Sarah go! All those years of working together and I never knew she was a biker.